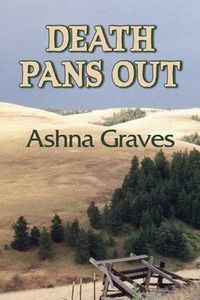 Death Pans Out by Ashna Graves: Synopsis and Online Purchase Options. Synopsis (from the publisher): While recovering from a double mastectomy, journalist Jeneva Leopold seeks solitude and healing at her uncle's idle gold mine in the sagebrush desert of Eastern Oregon. Hiking the rocky ridges, swimming in the old mining pond, and ignoring the outside world save for occasional letters, Jeneva gains strength and a new will to live. As her interest in life returns, so do Jeneva's journalistic habits. And though the locals are at first puzzled by all of her questions, she soon gets to know a young woman rancher, various miners, a quirky old artifact hunter, and an itinerant priest and medieval scholar. These people and other colorful locals give her the inside story on living in the harsh landscape of sagebrush and coyotes and revealing how the old west is changing under new economics and regulation. But the Oregon desert is also a place of secrets. The more Jeneva talks with the locals, the more she wonders about her uncle's mysterious disappearance. Why did her uncle and her mother stop talking so many years ago? Does she know more than she is acknowledging? The murder of a young miner sends her on a quest for answers, leading her to an elderly woman artist living in a converted chicken house, a tongue-tied funeral home owner, and a swashbuckling sheriff with rule-bending tendencies. The appalling business she uncovers shocks the region and nearly claims her life, but it also brings closure to an old family misunderstanding and the enigma of her uncle's fate.